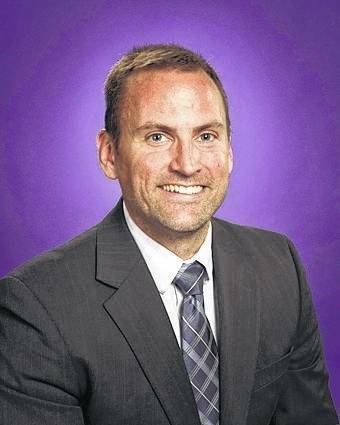 VANDALIA — The Vandalia-Butler City Schools has finalized a contract with G2G Solutions that will placed armed School Safety Officers (SSO) in each of the district’s five buildings beginning this school year. The move is part of a comprehensive review of safety procedures and protocols the district has been undertaking over the past year. That review has seen the district spend nearly $175,000 to install key fob entries at all buildings, enhanced security cameras with real-time links to local police departments, improved lighting, and make operational changes at the district’s BASE program. Many of those recommendations were the result of a security audit performed by G2G in February after the Parkland, Fl. school shooting. Under the terms of the SSO contract, the district will pay G2G $348,052 in year one. That amount increases to $358,493 in the second year and $369,247 in the third year. Those numbers are about $43,000 higher per year than originally estimated due to an increase of insurance G2G is required to carry as well as payments into the School Employees Retirement System (SERS). Any services provided above and beyond the school day hours or the original scope of work are paid at $50 per hour. Both parties have the ability to ask for renegotiation of the contract if there is a need to reduce or increase the program with 14 days notice. Also, the district and G2G will meet once per month to review the performance of the company. G2G Solutions is run by President and co-founder Mark Stusek, a veteran of the Dayton Police Department who retired in 2003 after more than 25 years of service. Superintendent Rob O’Leary said the SSO program is a more cost effective way of getting safety officers in all five buildings – not just the high school.